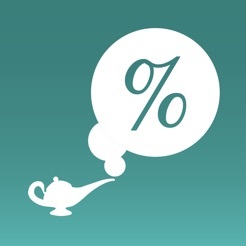 Mar-Genie is an easy to use Margin Calculator. 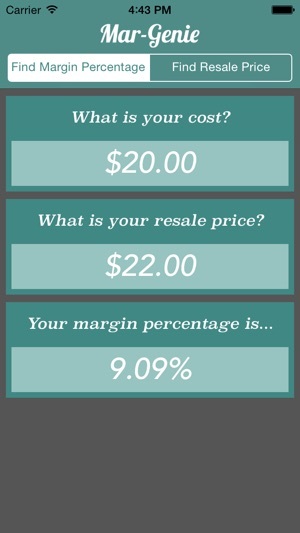 Find sales price or sales margin quickly, easily, and accurately. Thank you so much for this app! 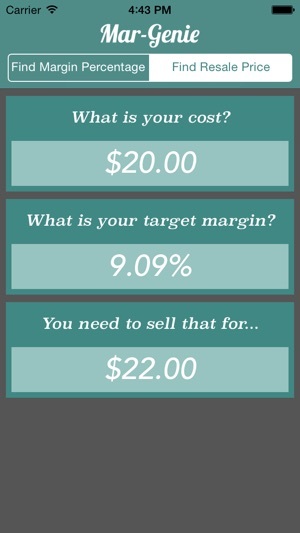 As a right-brained, creative person forced to calculate margins, this app makes it so very easy. I use it several times a day and my work life is enhanced greatly. This app is of the highest craftsmanship and can assist the daily user and business professionals alike. It's intelligibility allows for expeditious use to maximize efficiency of he user. I highly recommend this app.